WHEN MY BROTHER-IN-LAW showed off the flatbed trailer he and his family recently built and then suggested we all pile on for a ride down the field driveway, I hesitated. Tom sometimes can be a bit of a daredevil with his toys. So I passed on the maiden voyage that carried 11 family members along the grassy pathway between soybean fields, up the hill, around and back to the farm site. 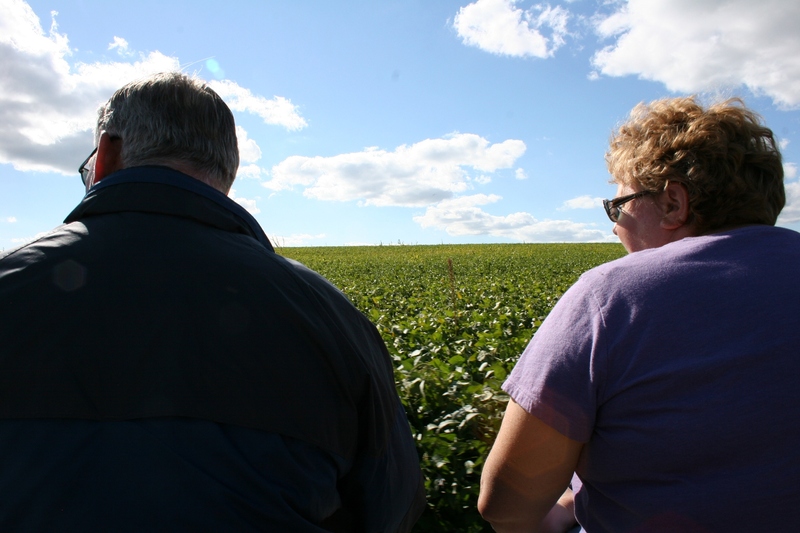 Then my 78-year-old mom decided she would ride, up front on the all-terrain vehicle, sandwiched between the driver and my oldest brother, who once gave me a ride on his snowmobile and then left me stranded in a gravel pit. I figured with Mom on board, the boys would behave, drive responsibly and get us all back safely. So I slung my camera around my neck, pulled myself onto the wagon and sat next to my oldest daughter, legs dangling over the edge. Off we went, bouncing along the field road under a beautiful blue sky scuttled with white clouds. 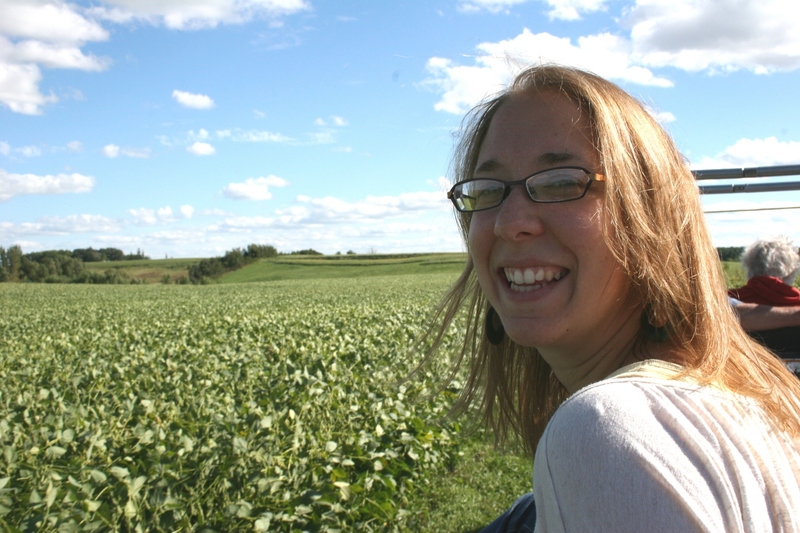 Honestly, September days in Minnesota don’t get much better than this—sunshine and soybean fields, country air and spacious skies, princess waves and smiles as wide as the horizon, dog hugs and happy kids, laughter and the love of family, my family. 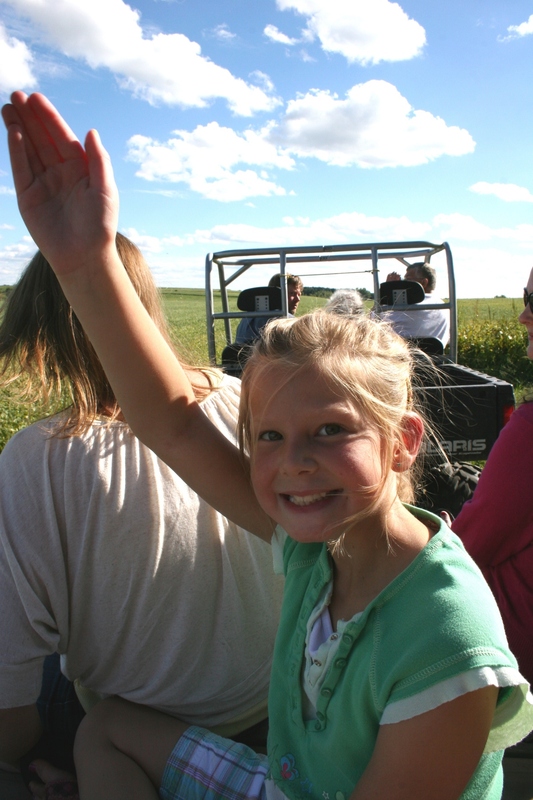 My niece practiced her princess wave as we rode between the soybean fields. I sat next to my oldest daughter. We were all smiling and laughing. Two of my siblings sit side by side on the edge of the trailer. 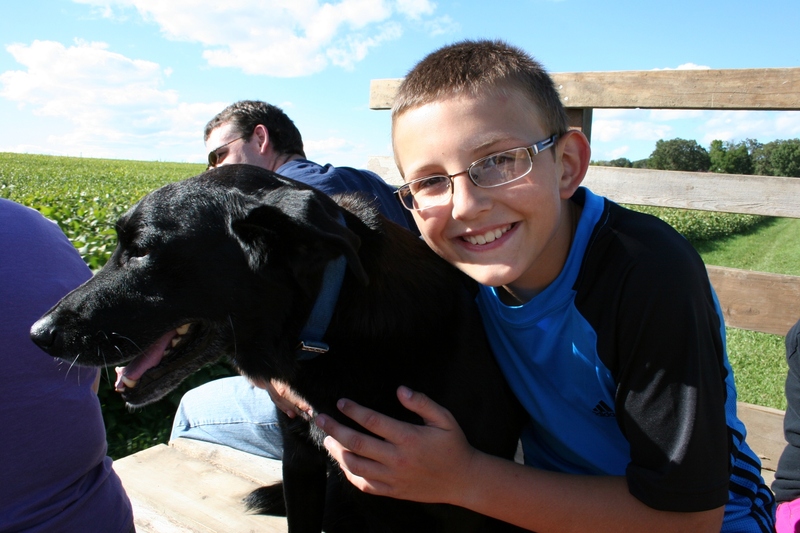 One happy boy (my nephew) and one happy dog. 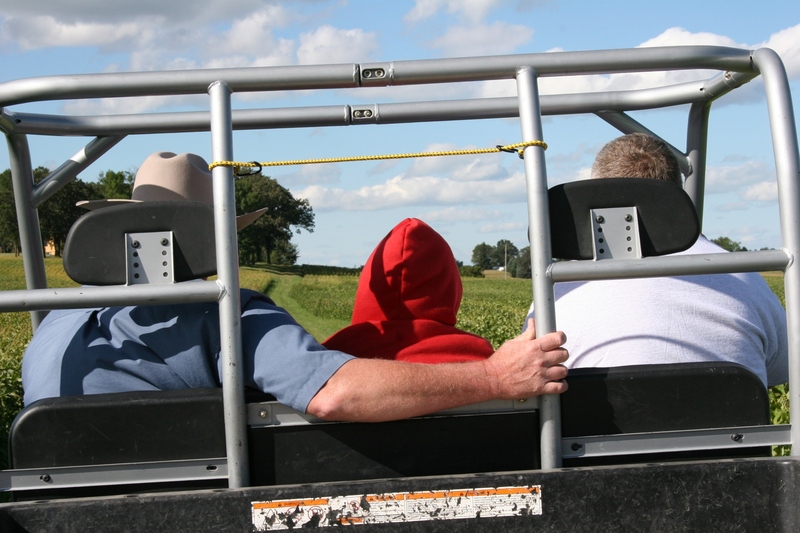 My Mom sits safely between my brother-in-law and my oldest brother in the all-terrain vehicle. 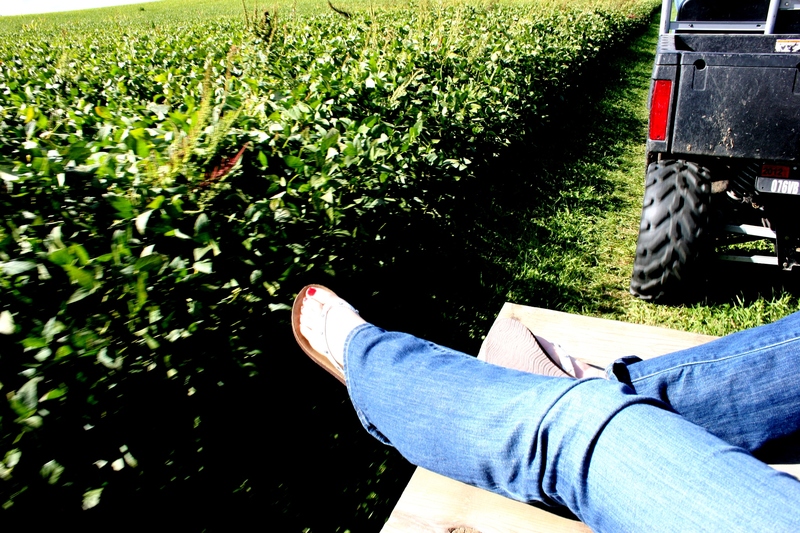 Feet hung or dangled over the sides of the flatbed trailer as toes nearly touched soybean leaves.